View a list of the best applications to use with Android OS for Tracfone users. This list is compiled by TracfoneReviewer, with help from our readers. More and more Tracfone users are switching to Android powered smartphones that Tracfone has been making available, especially as new phones like the Samsung Galaxy J7 Crown and LG Rebel 4 or unlocked devices like the Moto G6 on Tracfone BYOP. Android smartphones are incredibly powerful devices, offering many of the same functions as a laptop computer. Android is simply a standardized operating system, which allows many people to create applications, or programs, which can work on all the different Android devices. You can surf the web, check email, look up information, manage banking, and much, much more. But sometimes it is hard to know exactly what you should be doing with your Android phone, and what apps are the best for making life easier, and more convenient. 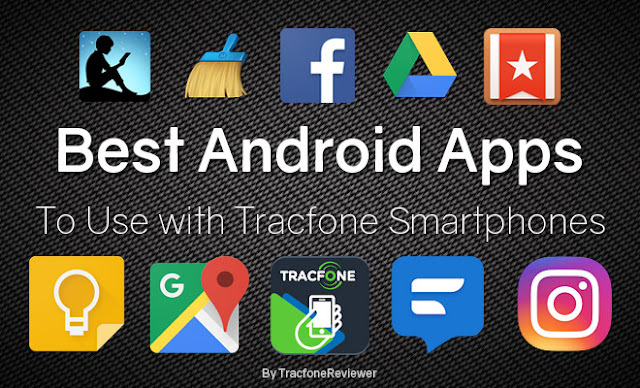 So we are creating a list of the Best Apps for Tracfone Android users. And we want to hear from you! Leave a comment below with your top apps, and we'll work on adding the best to the list. Now let's get to the list of apps! These apps are some of the most popular, and most useful and cover a variety of categories. We will try to share as many apps as are useful for using with Tracfone Android devices. Not everyone uses the same apps, or has need of particular apps, but browse through the list and see what sounds useful to you! The app from Tracfone to check your balance, and manage your account. If your phone doesn't have a lot of space, you can just bookmark the Tracfone website and check your balance there. 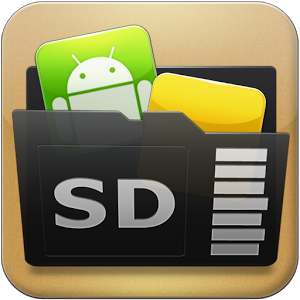 A convenient app manager that can let you move apps to your SD card to free up space. AppMgr III is especially useful for Tracfone Android users because of the limited internal space on many of the phones. AppMgr III does more than just moving apps, it also can freeze apps, and do other management tasks. Note: Some phones won't allow you to move Apps to your SD card. You will have to root your device if you want to do that. Pay and request payment from friends in this simple and easy to use money transferring app. Do you wish there was an easy way to pay back a friend who bought your lunch? With Venmo, it is very simple and seamless to send and receive money. Plus, pair it with many sources for free kindle books, and you have an almost unlimited FREE supply of reading material. This app replaces your stock keyboard with one of the most popular, and best keyboards available for smartphones. Besides using advanced algorithms to track and predict your typing to speed it up, the app also looks great, and has a number of different styles and themes to choose from. A save for later app that makes it simple and easy to save webpages and many other things for later offline consumption. You can keep everything in one easy to find place, so you don't forget about that article or video you wanted to see. Want to hear about current events without spending much time? Get just the top 6-10 headlines of current news from all over the world from Nwsty delivered to your phone. The app also delivers short news podcasts for those who want to listen on the go. Get the latest news stories from major news sites read to you while beginning your morning. The app allows users to set an alarm like old clock radios! Looking for an all-in-one app to track all your favorite sports? TheScore has you covered! Get live score updates for all your teams and curate your own favorites list for news and highlights! This convenient app makes note taking a breeze. Jot down a to do list, or write up a few paragraphs, no matter what you are recording this app can do it. You also have great syncing functions across devices, including your computer. 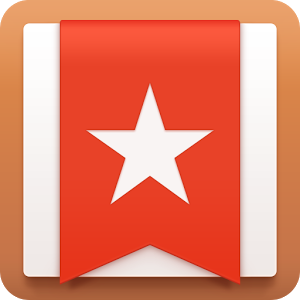 Managing lists and tasks is much easier with Wunderlist. It also has great syncing abilities with other devices, and is also very easy to share your to do lists with others. Where Evernote excels at note taking, Wunderlist excels at list making, both are valuable tools to staying organized and on track. As a relatively new and unknown app, Google Keep is simple, and amazingly useful. It can be used for a variety of functions beyond simple list making and note taking, including setting reminders and recording photos and voice. This is a very handy app to have for when you need to run to the grocery store, or get a reminder about something at work, and it allows syncing across devices, and list sharing. Providing an 'all-in-one' to do list for anything from household chores, to work related tasks. Any.do is a clean and simple app that focuses on helping you remember what you need to do, and accomplish your daily goals. You can also sync between devices, and set reoccurring tasks. A standard for most smartphone users, the Facebook app allows you to surf Facebook with ease. The app works well, and is used by millions. Not much really needs to be said, although you do have to download an additional app if you want to use messenger, which is a bit annoying. 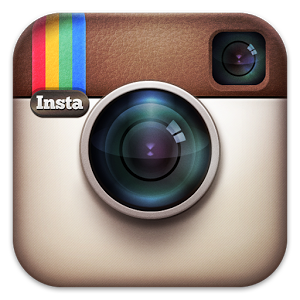 For sharing pictures with friends, Instagram is another great app, and a lot of fun to use with a smartphone as you can quickly snap a picture, and then share it with all your friends and family. There are plenty of other social apps, like twitter and snapchat, that we don't feel the need to go into. Social apps are much more preference based, and it usually depends on whether you have friends already using those networks. For everyone who already uses Skype on your computer, the app is fairly similar and allows you to make free calls to others with Skype, or use Skype Credit to make calls both locally and internationally. This is a convenient app, and works well between your computer and phone. More popular in America, Whatsapp provides and great instant messaging service and has millions of users. It was recently bought by Facebook, but does not appear to be changing anything. While you don't get ads or annoying stickers with Whatsapp, you do have to pay for it after your first year. It costs $1 per year. Another great resource from Google, Hangouts offers great group video calls and many other features. Text, send photos, and much more. One of the best for keeping in touch with people a long way away. A replacement for the standard text messaging app, Textra offers more features, customization, and looks a lot better. Download it and you will never look back. Unlike the other free messaging apps listed above, Textra replaces your standard text messaging app with a stylish materialistically designed one. Not really a free messaging app, but a free app to replace your text messaging app. Tasker is an automation tool, which allows you to set a wide variety of tasks to be done automatically at certain times, or with certain triggers. You can use it to do simple things like turn your cell phone to silent when you get to work, or turn WiFi off when you leave your house. It can also do a wide variety of more advanced options, and is a fun app for those who like to tinker and mess around with devices. It does cost a couple bucks, but is worth it for the convenience and fun. If you don't want to spend money, Llama is a free alternative to Tasker and can do many of the same things. The key features include the ability to set certain profiles, like silent ringer, when you get to certain locations, like your office. Give it a test run and see what you think, and then consider if you want to pay a little to get Tasker. If This Then That. Use this simple formula to create an endless array of options. For example, if the forecast calls for rain tomorrow, then send a notification. Or if I arrive/leave work, log the time to a Google doc. The options are amazing, and there are thousands of 'recipes' online that range from incredibly useful, to hilariously funny. Combine it with Tasker for even more power. Clean Mater optimizes and cleans your phone to remove excess and temporary files, and close background apps to boost performance. It is a very useful app especially for those who have limited internal memory on their phone. Clean Master has a simple interface that is easy to navigate and understand even if you don't know what temporary files are. You should have a Security and Anti-virus app on your phone, and Avast is the best free option. It will do weekly scans, and check files you download. 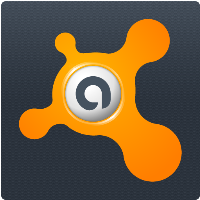 Avast also has a variety of other tools, and other related apps for more security and convenience. In case you lose your phone, or it is stolen, you want to have downloaded Android Device Manager. It will allow you to locate your device, have it ring to help you find it, reset the lock screen, and even erase the data on the phone. Download, listen and organize all your favorite podcasts with this easy and convenient app. Search for new podcasts, locate your favorites, and listen to them all in one place. If you don't know what a podcast is, or don't listen to them, you are missing out. Download the app and start listening and learning great new things from the thousands of free podcast shows available. Another widely popular podcast app, use this to download, discover and listen to all your podcasts. Great search features make it easy to find new shows to follow. Seriously, if you aren't taking advantage of podcasts on your smartphone, do yourself a favor and check them out! You can conveniently download podcasts while using WiFi, and then listen to them later for free! This fitness tracking app will log your activities, and keep you updated on how far you are walking/running/biking. Set goals for your workout, and then track how you do. You can also track how far you walk in a day, and much more. Can integrate with other fitness apps, and Android Wear. Almost everyone wants to be more fit, but most of us find it hard to set aside the time for fitness. The 7 Minute Workout is a great solution, as it allows you to complete 12 different exercises in 7 minutes that improves your health and fitness. Give it a try, and start making fitness a reality. There is also another version of the app here, if you want more options. Get the 1 Year card on Amazon! The best when it comes to mapping and directions. If you don't already have it, download it. One feature many don't know about is that if you access Google Maps via WiFi, and save the maps for offline use, you can then navigate using GPS and saving your data. A simple tracking app that can follow you in real time and give you information about distance, elevation, time, and much more. Save maps of your tracks to share with others, or for future reference. This app was created by Google. A superior tracking app that can do way more than just track your hikes! See lots of detailed states for your hike, bike ride, walk, drive, and much much more! Get updates during your trip, and share your hikes with friends on Facebook. Traveling to a new city? Looking for a Navigation tool that won't burn through your data? NavFree is the solution! It is a free navigation app that uses maps saved on your device to navigate you through whatever city you're in. It has lots of additional features, and while it may not quite be up to par with Google Maps, it does a great job, and doesn't require data to work! A GPS Navigation app with community based traffic updates which will keep you informed about the best routes, and even let your friends know your ETA. Waze can be connected with Facebook to import your contacts, and has turn by turn navigation over maps which are constantly updated by the community. This is a great app if you live in areas prone to congestion and traffic, or if you just like keeping up with your friends and family! Listen to music free on your phone. Choose a song, or artist, and enjoy a variety of songs related to it. Once you listen to a handful of songs, Spotify will give you a weekly playlist of new songs that are similar to what you listen to. A great way to discover new bands and artists, Pandora lets you pick a song, and then creates a radio station of related music that you can listen to on your phone. Similar to the other music apps, Jango also works outside the US unlike Pandora or Spotify. Pick a song or musician, and then listen to a variety of related songs. Jango isn't quite as good as the other two options, but still works well. Get faster access to Google and voice activated actions with Google Now. Huge number of neat features, including location based information, weather, news, and much more..
A simple way to access your Google Drive from your phone. If you don't already use Google Drive on your computer, well, you're missing out to a whole suite of amazing and free tools. 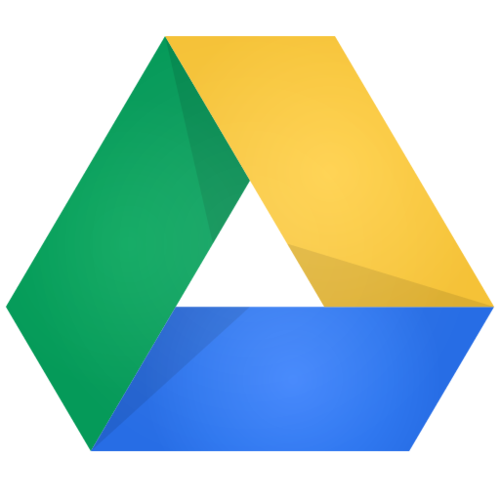 Google Drive syncs between your devices, and is great for accessing and sharing information. Need to have an important document with you to reference in a meeting? Google Docs works with Google Drive, and supports a variety of document formats that you can take with you on your phone, and even create new docs as well. Easy to collaborate with others on a shared project. A powerful camera application that you can use instead of your default camera. Give it a test, and you may be surprised by the improvement in features and functionality. Includes HDR+, Lens Blur, Video, Photo Stitching and more. A powerful mobile version of the desktop photo editing app, LightRoom Mobile is free and gives access to a wide range of photo adjustments including contrast, exposure, shadow and highlight recovery, clarity and much more. The VSCO app allows you to not only edit photos, but also take them with a number of advanced camera controls. This app is most well known for their wide range of excellent presets, and also distinct community. With a number of different tools and filters, SnapSeed is a complete mobile photo editor that was developed by Google. It includes features like selective editing brush, healing, and lens blur. You can also edit RAW files or jpeg, and it has plenty of presets to use and adjust. There are many great games available covering a wide range of categories, so we will just list a few of our favorites. We want to hear about your favorite games! Let us know in the comments which games are your top picks, and we will add to the list here! We hope this list will give new Android users a good place to start when looking for apps, and possibly help Android power users find a new app to try. If you don't have an smartphone, or are looking to upgrade, check out our List of the 5 Best Tracfone Smartphone which shows Tracfone's current options for top phones. Or visit our Latest List of Tracfone Smartphones to see what's new. Tracfone is always adding new smartphones, and we have the latest on our Cell Phone Reviews page. These phones are usually available on the Tracfone website, and are also available many places online like Amazon and eBay . You can also bring your own smartphone to use with Tracfone! Drop by our Tracfone BYOP page which includes a list of compatible phones. We recently analyzed all the airtime cards from Tracfone and created our Guide to the Best Deal on Tracfone Airtime. Have a look and see if you are getting the best deal. Thanks for visiting, and remember to leave a comment with your picks for the best apps on your Android device! Let us know if we missed any good options! For the phones that run Kitkat (Android 4.4+) Towelroot will allow you access to your SD card. You can't find it in the Play Store. Speaking of Tasker, you can create a profile to turn your mobile data on/off when you dis/connect to a wifi network. I've also created a profile that will reply with my current location when it receives an sms "Where are you?" Crystal defenders is my favorite game. I also reccomend quickpic and mx player for pictures and videos respectively. Has anyone tried the Google Now Launcher? Do you prefer it to other launchers? Concerning Podcast apps, has anyone tried BeyondPod or Pocketcasts? Any recommendations for email apps that work with email other than the web based apps such as Yahoo mail and Gmail? Why isn't Waze listed? It's the best free gps app. Peter, you should do one for iOS apps. Only a suggestion. What is the ios for the UNIMAX MAXPatriot Android™? iOS is the operating system for Apple. Do you mean that if you have wifi available (in your home/store/etc), that you do not have to pay for texting and using data? Hi TracfoneReviewer! First off, thank you so much for all the reviews. I'm an avid reader of your blog. I was wondering if yo could do a review on how the LG Ultimate 2 connects with Android Wear. Can you that? It would be awesome. :-) Thanks,. if you have mp3 songs already on your computer, can you put them in the music icon . or can you send them to the micro sd card from an older phone then put the sd card back in the android lg ultimate 2 ? will it keep your personal music ? can you use the lg 840g mp3 personal music , then take the micro sd and put it back in the new lg ultimate 2 ? will your songs show up on your music if they have already been downloaded on the micro sd card? There are many aps to locate friends or find phones but they mostly use gps for accuracy and require data. Is there one that approximates location using cell towers only? After reviewing the apps list above, I found out that the LG Ultimate 2 L41C is compatible with WhatsApp, very excited!!!! So I will be buying it soon. Happy owner of Tracfone LG 306G, but WhatsApp will be great to communicate with Latin American relatives!!! Tracfone, keep on doing good phones! Thank you! I am going to get snapchat on my tracfone, but was wondering if it uses up minutes when you go on it. Do you know? Please respond! Thanks! No, it won't use any minutes as long as you're using WiFi. If you use data (3G) it will deduct data. Not free. Perhaps used to be. Now requires credits. Please tell me if there is an app for blocking someone from calling you that is free to use? Does it use data? thanks! Has anyone tried Google voice on the better android tracfones?. Or any of the google voice connected apps to use your Google voice number for calling out and answering Google voice calls and text? Can you do group text with an android trac phone? Wondering about Whatsapp. How does this work with Tracfone? Can I text while using wifi and not be charged minutes? Then when away from wifi go back to using my normal texting service? I have searched all over for this answer but nobody can answer it for me. Can I turn off Whatsapp anytime? How do both services work together on the same phone? Thank you. Where is a good app like "FRIEND FRIENDS" my sons have on their iphones? "lIfe360. Seems to send out ads or something as I tried it and my kids deleteted it from thier phones. Never seen an Ad from 'FindFriends' on my ipad i use to find my kids, guess i will have to get an Iphone too! Can I use my Sunset™ LTE L33L as a mobile ap, and if so what ap would I use? Thanks. I have GV on my MotoE and I had it on a fuel LGL34G. You must also d/l Hangouts, but works very well over wifi..Save those minutes!! Is the game ap Free Cell in any of the Tracfone smartphones? Double and Triple Minute benefits do not transfer to Android™ phones. This benefit is replaced by 3x talk time, text and data. With 3x you will always get three times the airtime purchased for talk, text and data. Additionally, Promo Codes will not be valid for Android™ phones. Can I download apps to my Lg L41C tracfone without a tracfone or google account? I don't use a lot of minutes, only buy airtime when I need it, maybe once a year. I'm considering getting the LG Power (currently have an older LG Tracfone). Will I be able to load my Outlook Calendar on it (I pay for the Microsoft 365 Office)? Thanks. Does anyone know the weather app for the alcatel one touch pop icon. I deleted it and don't know what to use. My first smartphone...LG22C. Can I make free calls with Talkatone app when away from wifi? Does anyone use android pay on a tracfone android phone? I want to know this too. I have a Samsung Note 4, with fingerprint reader, but have yet to make it work at a retail location. Help! I've always like MyRadar for weather, but your mileage may vary depending on the age of your TracFone. It brought a Samsung to its knees, but works great on my LG L22C. Hello, I miss being able to move to SD card. Now have 6.0.1 Marshmallow. AppMgr III in Play Store says not supported on LG and others. Have tried to root phone (new LG X Style L56VL). With KingRoot, gave up. Am looking into partition SD card. Can these phones be rooted? Or will partition work better? Our favorite games are Word Chums and Word Cookies. My favorite app is Audible. I like Google Music because all of my music is on the Google Cloud, so I can listen to my full library so long as I have a good WiFi connection. For games, I enjoy Minecraft (which is getting an update this August making cross-play between PC, most Consoles, and mobile possible). I also enjoy like Pokemon Go, but my phone is a BYOP so I could shop for specific specs to make sure it would run. Yup, that app manager II was good on Android 5, but 6 and now 7 just won't let me move a damned thing to the SD card at all, also the cleaner programs like Ccleaner can't delete the cache stuff either, you have to manually go to apps and do it yourself for each damned app. I sure wish Android would add a setting to let the "user" select these things. Tracfone? Google Maps or Waze. Friends, how long has this language been on your site without being corrected? "Android smartphones are incredible powerful, offering many of the same functions as a laptop computer. Android is simply an operating system that is standardized which allows many different people to create applications . . . "
Should be "incredibly powerful . . ."
"many different people" is redundant. Of course they would have to be different, you wouldn'tt have many of the same people, now would you . . . Please acknowledge . . .